Cronyism : Berlusconi au pouvoir, les entreprises régulées ont décidé de faire de la pub … sur ses chaînes ! An extensive literature has studied lobbying by special interest groups. We analyze a novel lobbying channel: lobbying businessmen-politicians through business proxies. When a politician controls a business, firms attempting to curry favors shift their spending towards the politician’s business. The politician benefits from increased revenues, and the firms hope for favorable regulation in return. We investigate this channel in Italy where government members, including the prime minister, are not required to divest business holdings. We examine the evolution of advertising spending by firms over the period 1994 to 2009, during which Silvio Berlusconi was prime minister on and off three times, while maintaining control of Italy’s major private television network, Mediaset. 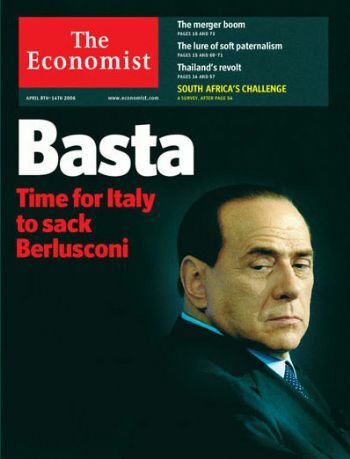 We predict that firms attempting to curry favor with the government shift their advertising budget towards Berlusconi’s channels when Berlusconi is in power. Indeed, we document a significant pro-Mediaset bias in the allocation of advertising spending during Berlusconi’s political tenure. This pattern is especially pronounced for companies operating in more regulated sectors, as predicted. Using a model of supply and demand in the advertising market, we estimate one billion euros of extra revenue to Berlusconi’s group. We also estimate the expected returns in regulation to politically motivated spenders of similar magnitude, stressing the economic importance of this lobbying channel. These findings provide an additional rationale for rules on conflict of interest.